Back in 2008, Doom creator John Carmack said that "Steve Jobs doesn't care about games… he's not a gamer." 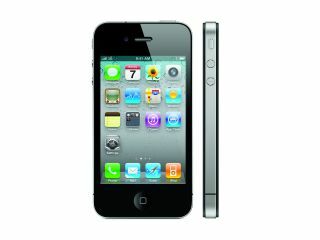 Either Jobs is a quick learner or someone in Apple does get games, because the iPhone 4 is great news for gamers. The fourth iPhone isn't revolutionary - it doesn't display things in 3D or beam games into the squidgy bits of your brain - but the new stuff is genuinely good for games. It's not just the hardware, although of course that's important: there's also the operating system and the advertising platform to consider. Hardware first. That retinal display's crisp and clear, the new processor means things will be silky smooth and the improved battery means you'll be able to play for longer. Throw in a gyroscope and you've got something that rivals the PS3's Sixaxis controller. Who knows, maybe game developers will find a not-crap way to take advantage of that front-facing camera too. But that's not all. If iAds take off they could be a big deal for games developers, enabling them to make decent money from games they simply give away, and the GameCenter - something that wasn't mentioned at all in yesterday's keynote - could be the mobile gaming equivalent of Microsoft's all-conquering Xbox Live. A few weeks back, analytics firm Flurry reported that not only was the iPhone/iPod gaming market worth big bucks - $500 million a year and growing - but that Apple's hardware was eating into Sony and Nintendo's market share. As reported by Techcrunch, iPhone OS games went from 4% of portable games revenues in 2008 to 19% in 2009, stealing market share from the PSP (down from 20% to 11%) and the DS (from 75% to 70%) alike. We'll be amazed if that trend hasn't continued into 2010. What's really significant about all of this is that the iPhone isn't a compromise device, something that's a jack of all trades and master of none, and it's not a games machine with a couple of extra features stuck on. In one titchy case you're not just getting a high-end portable gaming device; you're getting an HD camcorder, iPod, video player, web browser and whatever apps you fancy, from sat-nav to silliness. It's probably still crap at making and receiving phone calls, but you can't have everything. When the iPhone's new hardware bits make their way to the iPod Touch, which of course they will, Apple's going to sell stacks. It's all rather amusing: since the demise of the ill-fated Pippin in the 1990s Apple has famously been the firm that gamers laugh at - but now there's Steam on the Mac, a huge iPhone / iPod gaming ecosystem and even integration between iPhones and Facebook time-waster Farmville. Steve Jobs probably doesn't get games - but he's going to get a lot of gamers' money.